A Mexican codex in Oxford was thought to be Egyptian! Did the mysterious Aztec deity Ometeotl actually exist? Do you know the names of all the Aztec gods? And one to hold the head? The god with the longest name? A Rabbit in the Moon? In cases where large heavy rocks had to be transported, humans were employed to pull them using ropes, rollers and platforms. 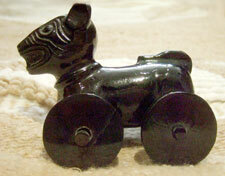 The earliest known wheeled animal figure came from the ‘Classic Period’ (roughly, 300-900 AD or CE), found in the Huastec region of the Gulf of Mexico lowlands, whereas most date from the ‘Postclassic’ Period (from 900 to the time of the Conquest), and most are of dogs, jaguars, monkeys and deer. But were they toys? 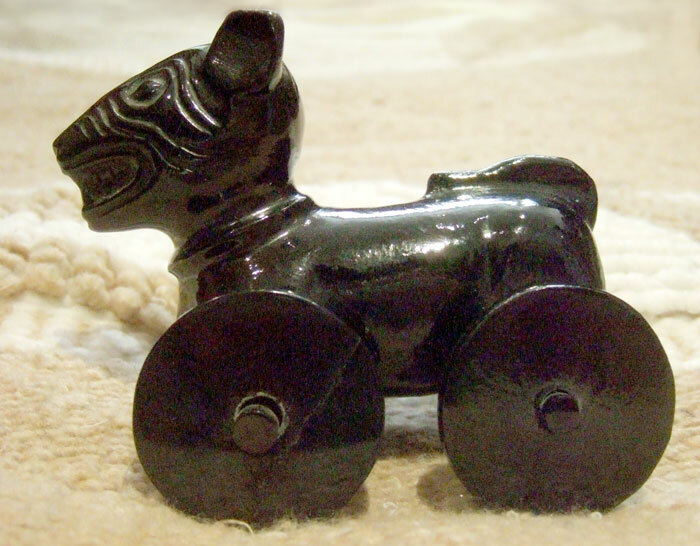 Some experts believe the use of animal figures suggest links to the ancient belief in ‘alter egos’ (companion spirits - follow link below to learn more), and the wheels might have suggested movement, vitality - life itself.